RTC continues its coverage of the NCAA Tournament through the regionals this weekend, at each of the four sites. Using social media to share information, we produced Rushed Reactions threads in Twitter for each game in those locations. Click within each tweet to see the entire RR thread for each game. Have a look below from all of this weekend’s games. #3 Texas Tech 75, #1 Gonzaga 69. RUSHED REACTIONS: TEXAS TECH 75, GONZAGA 69. #1 Virginia 80, #3 Purdue 75 (OT). RUSHED REACTION: #1 Virginia 80, #3 Purdue 75. Our reactions from an all-time classic in Louisville. 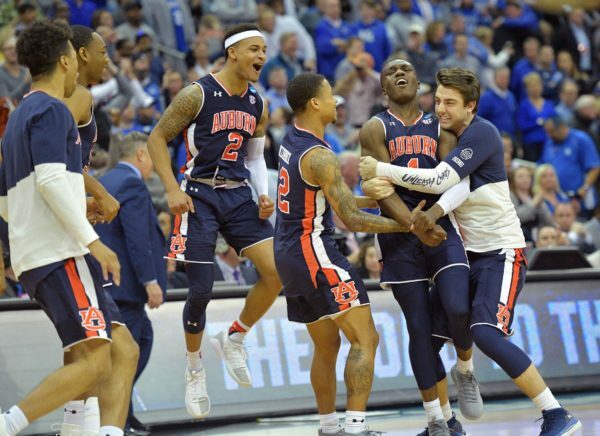 #5 Auburn 77, #2 Kentucky (OT). #2 Michigan State 68, #1 Duke 67. 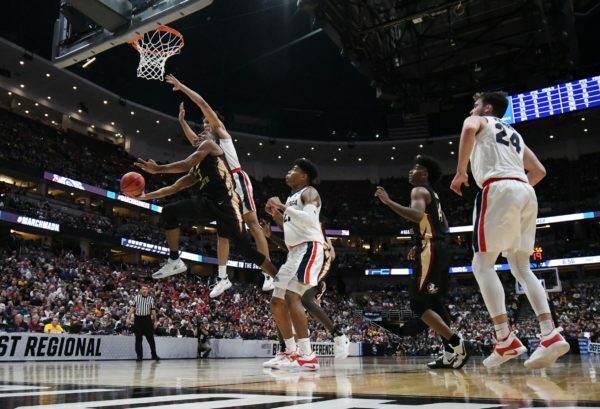 Florida State vs. Gonzaga: Does Gonzaga have a Rui Hachimura problem? While Hachimura is averaging 19.7 points per game this year, he is coming off of a season-low six-point performance against Baylor. Hachimura scored in double-figures in each of the first 32 games of the season, but has failed to eclipse 10 points in two of his previous three games. What’s going on with the junior All-American? The 6’8″ forward will be put to the test against the length of the Florida State front line. Purdue vs. Tennessee: Will Carsen Edwards’ shooting be the difference? Carsen Edwards is coming off of an explosive 42-point performance against Villanova — a game in which he went 9-of-16 from beyond the arc. Tennessee’s three-point defense ranks below the national average and the Volunteers allowed Colgate to shoot 51.7 percent from distance in the First Round. Texas Tech vs. Michigan: Which offense will be more dynamic in a match-up of elite defenses? According to KenPom, this game features the top two defenses in college basketball, as both teams have held their Tournament opponents under 60 points. The Wolverines are led offensively by freshman Ignas Brazdeikis — who scored just five points on 2-of-8 shooting against Florida — while Texas Tech is led by Jarrett Culver, who is averaging 25.5 points per game over his last four outings. The Red Raiders’ All-American, however, has shot only 20.6 percent from beyond the arc in games Texas Tech has lost. Oregon vs. Virginia: Can Oregon’s defense stifle the immensely efficient Virginia offense? Since being blitzed for 90 points in a loss at UCLA, Oregon has given up an average of just 54.2 points per game over its last 10 contests. During that stretch, the Ducks have held their opponents to a sterling 20.9 percent on three-point attempts. While Virginia has shot over 40 percent from distance on the season, the Cavaliers have gone just 29.8 percent so far in the Tournament. LSU vs. Michigan State: Will LSU be able to put together a full 40-minute performance against Michigan State? Through two NCAA Tournament games LSU is +25 in the first half and -18 in the second half. That disparity features a 30.8 percent field-goal percentage in the second half and an even worse 16.7 percent from beyond the arc. Over their last five games, the Spartans, on the other hand, have outscored their opponents by 36 points in the second half. Auburn vs. North Carolina: As hot as Auburn can get offensively, can its defense slow down North Carolina? 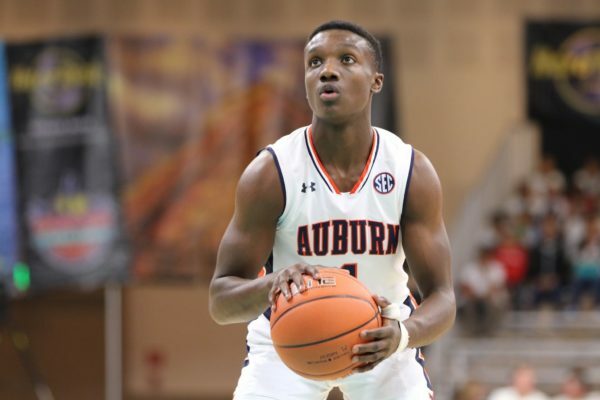 Auburn has played 13 games against opponents with adjusted offensive efficiency rankings of 40th or better, and the Tigers have gone just 5-8 in those games. Additionally, the Tigers are just 2-6 in games against an opponent with an offensive rebounding rate that ranks among the top 20 in college basketball. For your consideration, North Carolina owns the nation’s eighth most efficient offense and has a top 20 offensive rebounding rate. Virginia Tech vs. Duke: Can Virginia Tech replicate its winning formula against Duke? The Hokies defeated Duke, 77-72, back in late February in a game both Zion Williamson and Justin Robinson missed. Kerry Blackshear had a season-high 23 points to lead the Hokies in an all-around balanced effort. The return of the point guard Robinson will give Buzz Williams’ squad an extra ball-handler to deal with the pressure defense of Tre Jones. Houston vs. Kentucky: What will the status of PJ Washington be come tip-off time? Kentucky’s PJ Washington missed the first two games of the NCAA Tournament and his availability remains unclear for Friday night’s game. Washington was the SEC’s second-best three-point shooter in conference play and is a player that would help spread the floor for a Wildcats’ team that has made just 25.9 percent of its 27 three-point attempts in the NCAA Tournament. Rush the Court ACC microsite writers Brad Jenkins, Matt Auerbach and Mick McDonald got together this week to take a look back at the first weekend of the NCAA Tournament while also looking ahead to this week’s regional action. Brad Jenkins: Here we go. 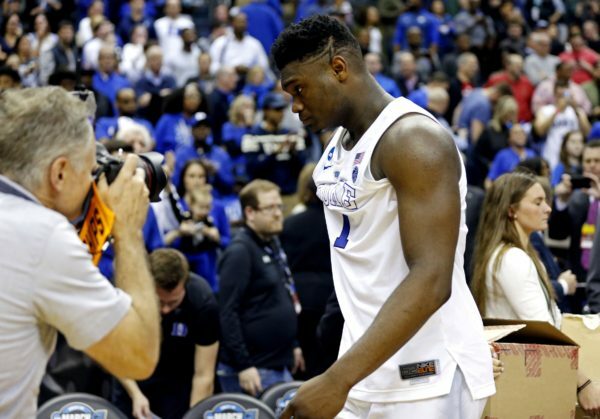 The ACC proved its strength at the top by putting five teams in the Sweet Sixteen. But before we discuss the outlook for those schools, any thoughts on the league’s two early exit squads — Louisville and Syracuse? Mick McDonald: I was surprised Louisville lost the way it did, but who could have counted on Minnesota shooting the ball like that? I’m not sure the Gophers will EVER have another shooting night like that. Matt Auerbach: Let me just reiterate for the eleven hundredth time how disappointing Syracuse’s season was. The Orange were never the team I expected them to be, and maybe that’s just on me. Certainly the absence of Frank Howard was an issue against Baylor, but this year was just wildly uneven for them from start to finish. As for Louisville, despite the tough finish to the year, I would call Chris Mack’s first year a success. With a strong recruiting class coming and the development of his young players — particularly Jordan Nwora — I expect a big year two for the Cardinals under Mack. Mick McDonald: And yes, the future is very bright for the Cardinals. Chris Mack will have them in the top 10 in the next two years. Brad Jenkins: Agreed. The Orange and Clemson must be the biggest disappointments in the league this year after returning their cores from a pair of Sweet Sixteen clubs a year ago. And Louisville is certainly headed for great things soon. Now on to the survivors. Let’s take a look at the ACC teams in action on Thursday this week, starting with Virginia in the South Region in Louisville. Thoughts on the Cavaliers’ chances there? Mick McDonald: Look, Oregon wasn’t very good this year. Once Bol Bol got hurt, the Ducks didn’t really have an identity. But give Dana Altman credit. He figured out that they just needed to become a super-athletic, defensive freak type of team, with a great point guard in Payton Pritchard. 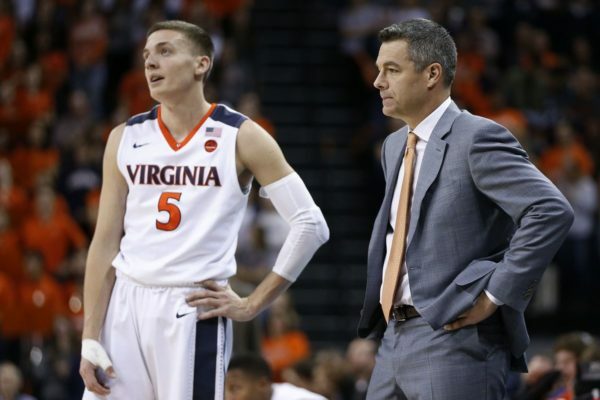 They are the type of big, athletic club that can give Virginia’s offense trouble. Can Oregon score on Virginia? Not very likely. First to 50 wins? Matt Auerbach: I still think Virginia is the favorite to win the Tournament, but I’m really a little worried about the Oregon match-up. 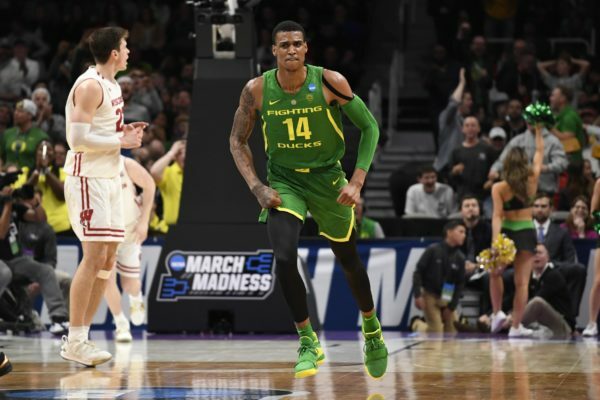 The Ducks had a really poor overall season, but there is no denying they are currently playing some of the best basketball out there, particularly on the defensive end of the court. This game is tricky for me, because if both teams play their best, Virginia definitely wins — if not, Oregon may get them. I think if the Cavaliers win convincingly, they will rout the winner of Tennessee and Purdue on their way to the Final Four. Mick McDonald: I’d like to see a statement game from De’Andre Hunter. He looked a little tentative in the Oklahoma game, and this is the type of game that will lend itself to taking over the offense at points. Also, Mamadi Diakite apparently finally putting all the tools together could not have happened at a better time. 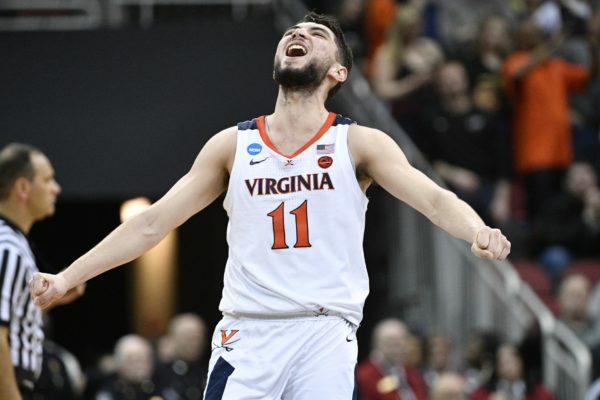 He looked fantastic in Virginia’s first two games and has given it that interior scoring option they have so badly needed. Brad Jenkins: I admit that I was really worried when Virginia got down 14 points in the first half to Gardner-Webb. All I could think about was dreading having to go to the postgame presser and seeing those kids crushed again. Thankfully they pulled it together. And like Tony Bennett said, they defended like Virginia for 40 minutes against Oklahoma. I see them doing the same in Louisville and coming out OK. Any concerns about Kyle Guy’s sudden shooting slump? Mick McDonald: Not really. He got some good looks against Oklahoma — they just didn’t go down. I worry a bit about him getting bullied and not being able to get open against Oregon, but if he gets enough open looks, he will knock some down. Shooters shoot, as the saying goes. Matt Auerbach: I wouldn’t be concerned about Guy, but with the way Kenny Wooten is throwing shots back, Guy will need to make some perimeter shots — something he did better than just about anyone all year. 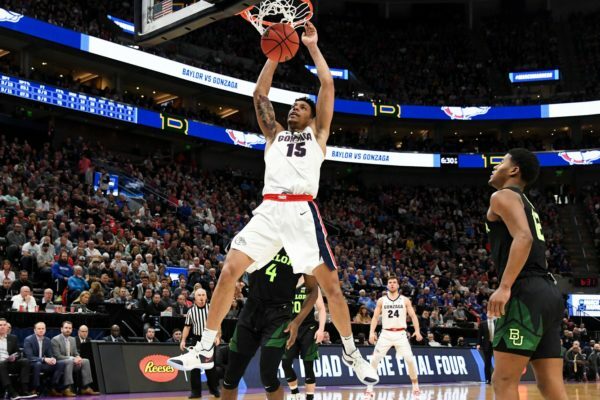 Brad Jenkins: Now on to the West Region semifinal rematch between Florida State and Gonzaga. Can the Seminoles pull off the upset again? Mick McDonald: Florida State is good enough to beat any team in the country and I actually think they match up as well as a team can against Gonzaga. They have sufficient athletes to throw at Rui Hachimura and Brandon Clarke that should be able to rattle them. The key for me: Can Josh Perkins handle physical athletes like Trent Forrest, Terrance Mann and David Nichols that Leonard Hamilton? If he turns the ball over more than a normal rate, I like Florida State’s chances. Matt Auerbach: Why not? They’ve been about as impressive as anyone else after the first weekend. Eleven deep, with that length and experience. I can certainly see it happening again, but not easily. People will focus on Killian Tillie playing this year, but the X-factor is Brandon Clarke — he’s almost a Seminole prototype on the other side, and I think he presents a lot of issues for Leonard Hamilton’s team on both ends. Mick McDonald: Great point on Clarke, Matt. He is such a force on the inside, most teams have to be very worried about getting their bigs in foul trouble against him. The Seminoles have less of a worry because they are so deep. Oregon is Incredibly Hot: Does it Matter? In the general realm of sport, we are often quick to relegate a team’s temperature. A team is – often obviously – HOT if they’ve won a series of consecutive games. Of course they are COLD if the opposite is true. In this time of survival and advancement, the latter is mostly irrelevant, the former, however, is heavily debated. Take, for example, the famed 2011 Kemba Walker Connecticut Huskies. They wrapped regular season play, losers of four of their last five games, seven of their past 11. They were frigid before they were scalding, famously sweeping through the Big East and NCAA Tournaments over the last month of the season. They finished hot. Conversely, Gerry McNamara’s 2006 Syracuse team heroically get heated up in the Big East Tournament, winning four games in four days. Their season salvaged, the darlings of the sport promptly lost in the first round of the NCAAs. In March, you’re perhaps only as good as your last game. These Oregon Ducks, however, they’re hot. Are they the UConn kind of hot or the Syracuse kind? That’s difficult to say and is ultimately rooted in results. Focusing on process – and I suppose temperature, if that’s the case – the Ducks are on fire. They’ve won 10 straight games and have improved their defense by an astounding 20 points per 100 possessions. Over this streak, the Ducks are yielding just 0.82 points per possession. Extrapolated across the whole season that would place the Ducks a significant five points per 100 possessions better than the next best defense (Texas Tech). Of note, these are raw rather than adjusted numbers, but what is March but raw? #12 Oregon 73, #13 UC Irvine 54. #1 Virginia 63, #9 Oklahoma 51. #3 Purdue 87, #6 Villanova 61. Rushed Reaction—Purdue 87, Villanova 61. Purdue dominated this game tip to buzzer.